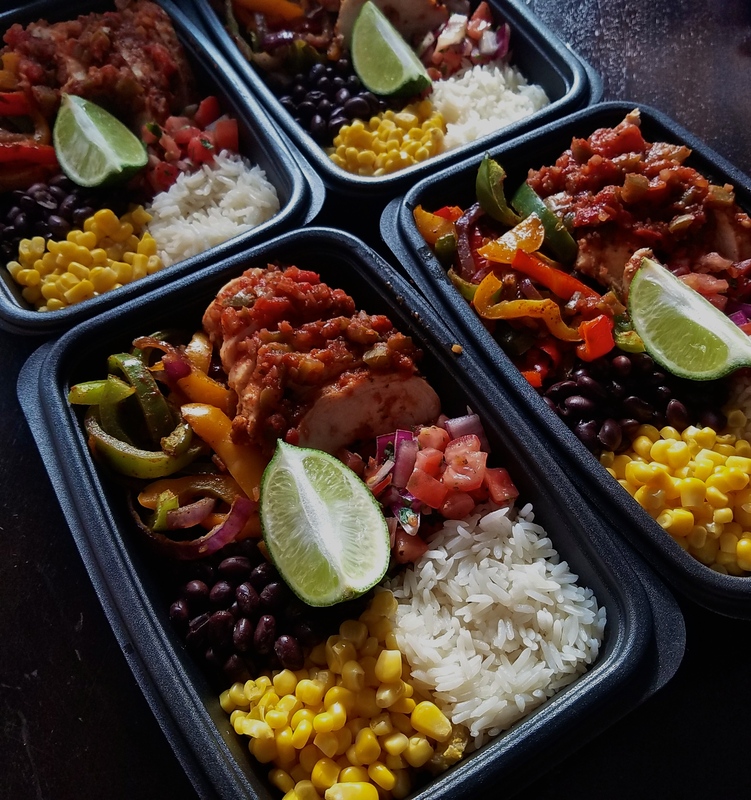 This is another one of my go-to meal prep recipes that I loved. If you guys missed my Greek Bowls post a couple of weeks ago, make sure you check it out! 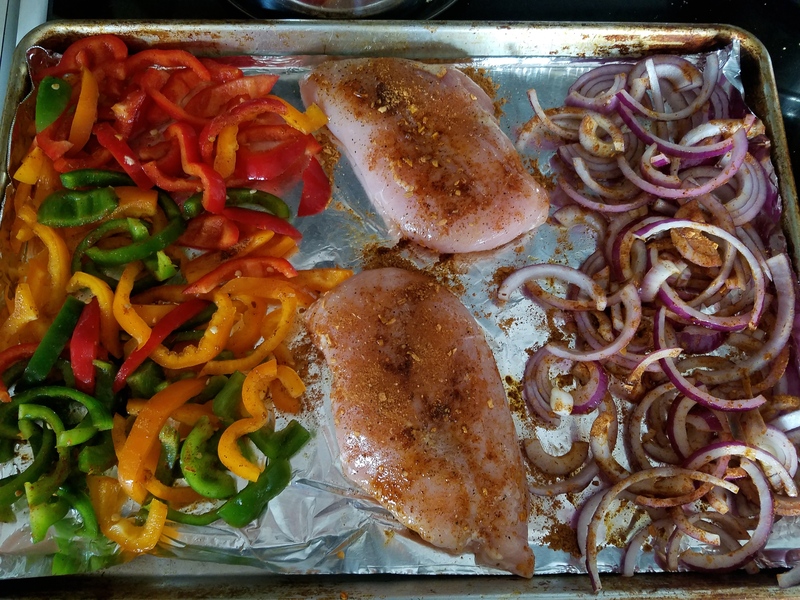 This one is SUPER easy and everything gets cooked on one baking sheet covered in foil which makes cleanup virtually non-existent. 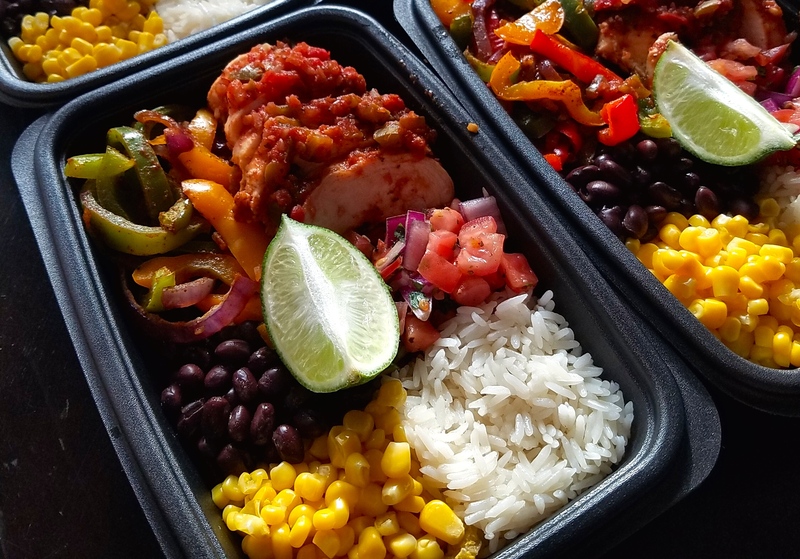 Each bowl is packed with salsa chicken, peppers, onions, corn, black beans, pico de gallo + rice. While the chicken was cooking, I drained 1 can of corn and drained + rinsed 1 can of black beans. I also cooked up both cups of this jasmine rice (because that’s what I like and it’s easiest but you could make brown rice). 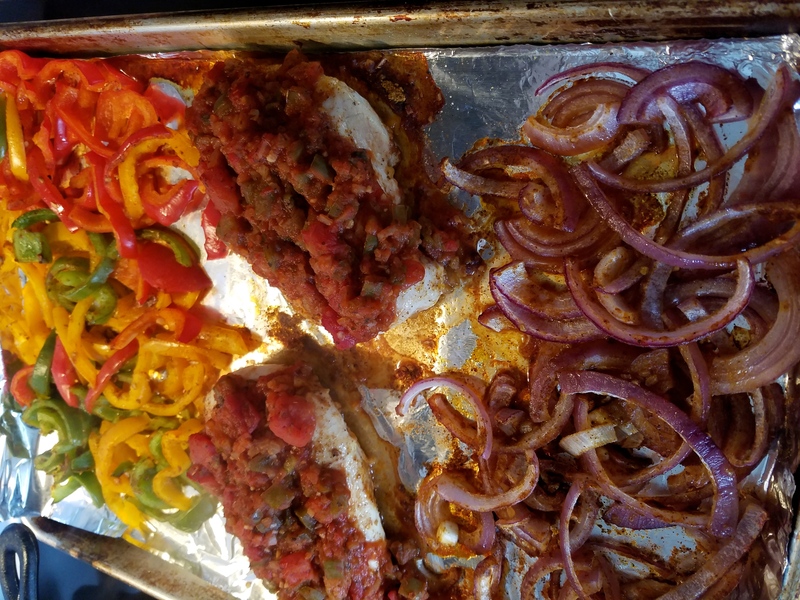 I filled up each of 4 containers with 1/2c rice, ¼ of the corn, beans, peppers + onions. 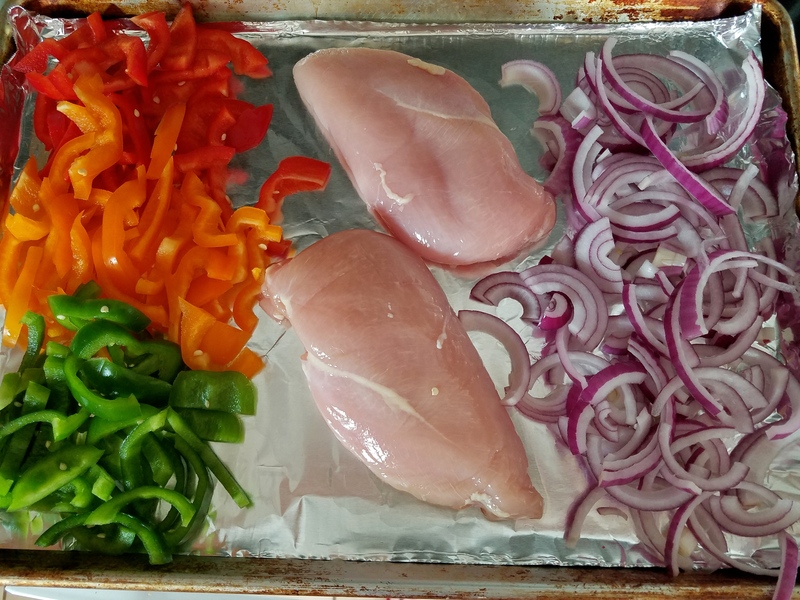 I let the chicken rest for 10 minutes after taking it out of the oven and sliced it and added half a breast to each container. 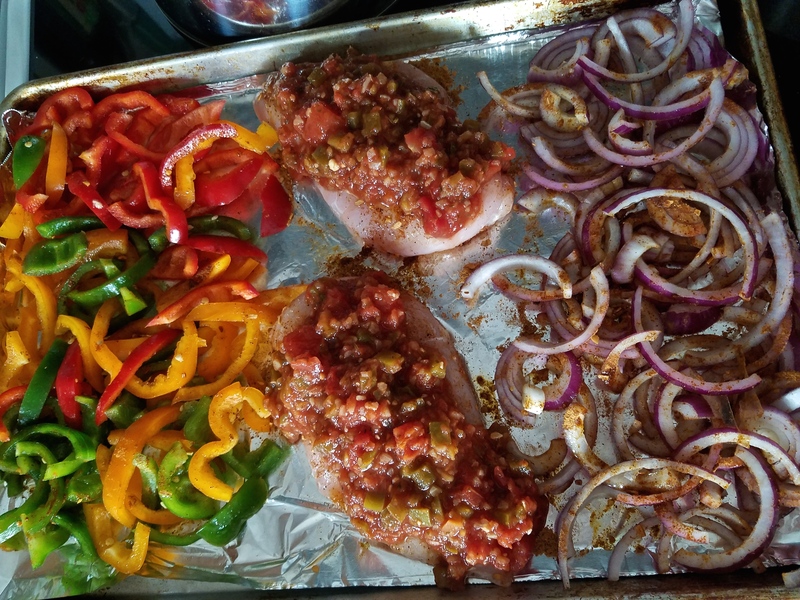 I added some pre-made pico de gallo and a lime wedge to each and was ready to go!